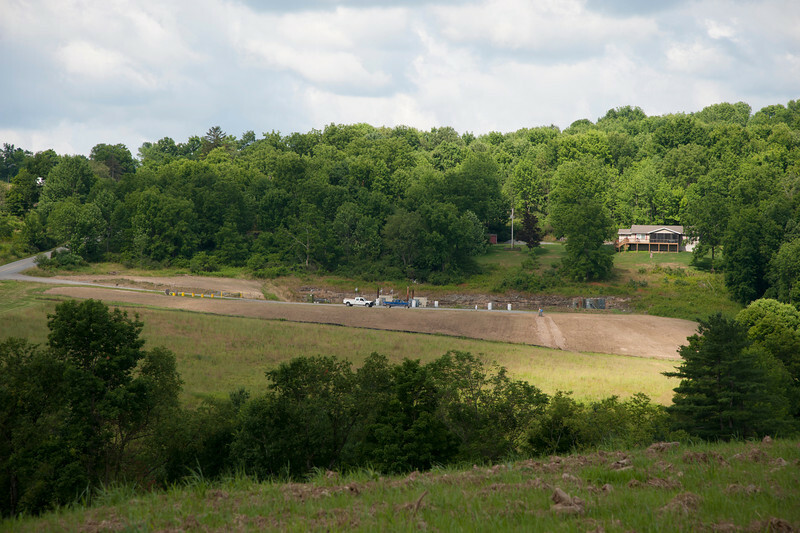 Cabot strives to ensure that land is recovered and revitalized to its full glory after drilling and completing a well. Because we care about our landowners and about the wildlife inhabitants of previous wellpads, we consult with the Susquehanna, Pa., branch of the Quality Deer Management Association to reclaim the land that we’ve touched. In fact, White Knight Productions, whom we hosted as our Cabot Crew feature this past Monday, created a video about our partnership with the local QDMA to bring the land to an equal, if not better, state than it was before we drilled for natural gas. Partnering with the QDMA has allowed us to learn about the needs of wildlife in North Eastern Pennsylvania and has enabled us to enlist the expertise of local farm-oriented businesses such as Andre & Son, Inc. for land reclamation. 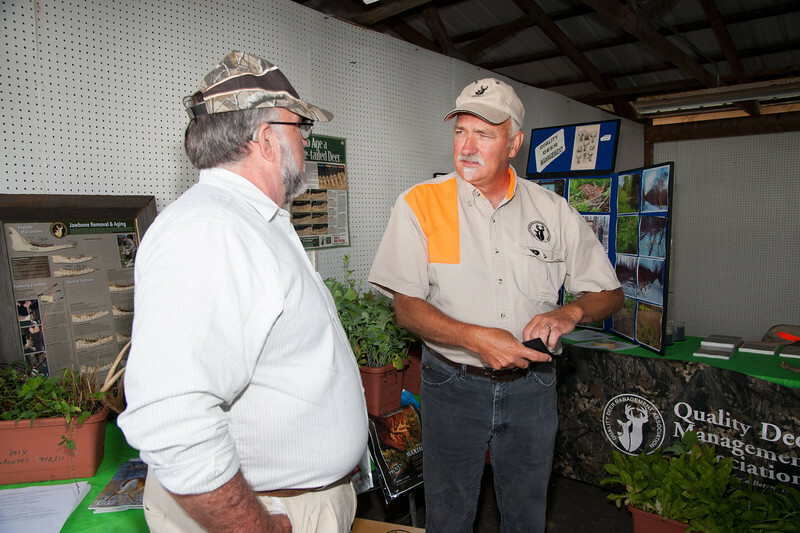 As presenters at the Third Annual Cabot Community Picnic, the QDMA spoke with picnic guests about the stewardship of wildlife in Susquehanna County, Pa. and about Cabot’s role in preserving the land and the wildlife. 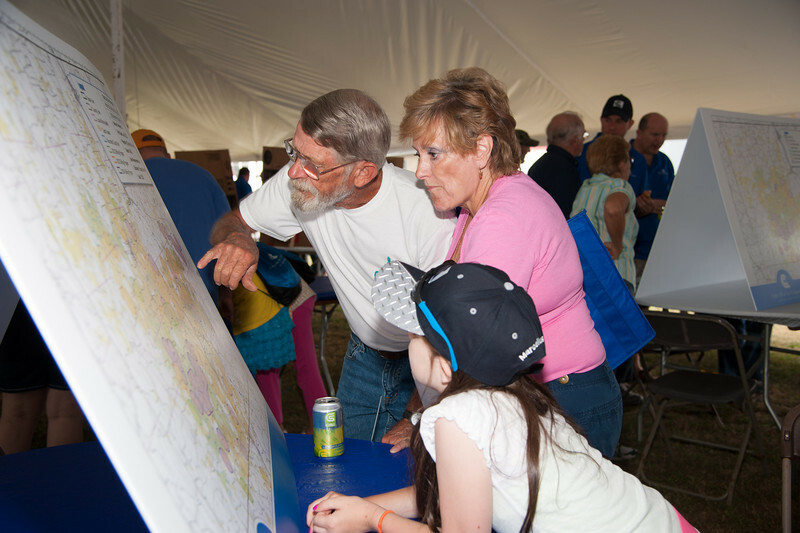 If you visited the land tent at the Picnic, (which you may have recognized by the swarms of guests eager to find their plot on large Cabot maps) you may have not only found your plot of land and the corresponding Marcellus Shale beneath it, but you may also have spoken with Cabot experts about how we restore land as much as possible throughout the entire drilling process and production stages. Today, we would like to discuss the differences between a reclaimed site and a restored site and describe the process of each. A reclaimed site is one that is returned to original condition once a well has finished its productive life. 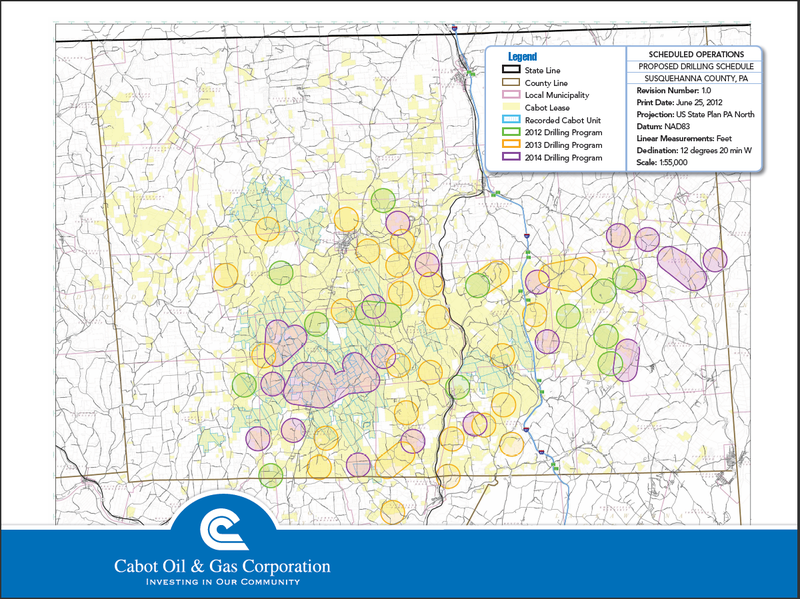 Cabot has few fully reclaimed sites in Susquehanna County because many of our wells are projected to produce natural gas for decades. When a well has finished its productive life the well is abandoned and cemented in. The surface equipment is removed from the property leaving only a riser for each well. The top soil and various levels of fill which have been carefully pushed aside and protected are returned to the original production pad in the order in which they were removed. The ground is then re-seeded or re-planted and returned to the original condition as documented in the lease agreements and location approvals originally signed off on by the landowner. The goal of reclamation is to restore the site to its previous state. That means that if the landowner farms corn and the pad was constructed in his or her corn field, Cabot works with the landowner to ensure that corn or other crops can grow there again. In both the reclamation and the restoration process, Cabot consults with the QDMA to lay the best seed possible for new grass to grow and crops, if desired. Though fully reclaimed sites are rare due to the incredible production rates of our wells, Cabot does have temporarily restored and partially restored sites. A restoration is the process of reducing the foot print and maintaining a site needed for further drilling and completion to a smaller size for the productive life of the well. According to Janice Lobdell, Landman at Cabot, a temporarily restored site is one in which Cabot reclaims the tank pad due to Department of Environmental Protection (DEP) regulations and then push back top soil to the pad and seed it. “We do this when we intend to go back to a pad and drill more wells in the future. This way we simply push the top soil off the existing pad then prepare the pad for operations. A Partially Restored site is one where we return the subsoil to the location as well as the top soil then seed and dress the top soil to original condition,” Lobdell said. Kenneth Marcum, Regulatory Supervisor for Cabot, said that Cabot has taken a true initiative to meet DEP requirements that a pad be temporarily or partially restored nine months after the time of total depth (TD) drilled. Meaning that when drills reach the lowest part of their journey into the soil, Cabot must immediately begin plans for completing and restoring the well. The exception to this mandate is if Cabot has valid permits for other wells on the pad. “The footprint of a producing well pad can be reduced by a third of the size soon after drilling if no further plans are scheduled for the locations. The tank pad, if no longer needed can be fully reclaimed soon after and silt socking, originally placed to protect from erosion and sedimentation, can be removed once 70 percent vegetation has been achieved and we receive approval from the Department of Environmental Protection to remove the silt socks,” Lobdell said. Even if Cabot is not able to restore a wellpad due to existing permits and/or plans for further drilling, we perform maintenance on producing wells and a report is submitted to Cabot from contracted inspectors weekly about the status of the well. Pennsylvania regulations state that wells must be inspected after each rainfall. Cabot’s policy is to inspect the wells immediately if ¼ inch of rain falls within 24 hours. These inspections help us to maintain the integrity of the well and its restoration process. Cabot stands out as an oil and gas company that is fully committed to the restoration of landowners’ properties. Cabot employees meet with landowners prior to and during the drilling and completions processes to negotiate where a pad is placed and to develop detailed restoration plans. In fact, Marcum said that Cabot should be proud of its restoration rate of 30 to 35 percent of all wells pads in Susquehanna County.